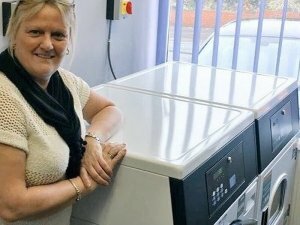 Which washing machine is best suited to your business? 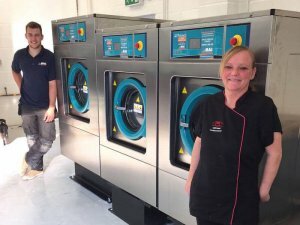 For new businesses, it can be incredibly difficult to decide which commercial washing machine will best suit your needs. Of course, budget needs to be considered, but more importantly, is it the best machine for the job it is required to do, and will it last? 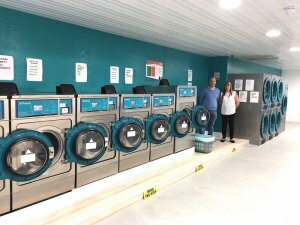 It’s not our ethos to get our clients to spend more than they want to, however, we do always recommend the best quality commercial washing or drying machine to ensure they don’t need replacing too soon. Buying cheap equipment can result in the business owner having to replace them much sooner than they would like to, and end up spending even more money. 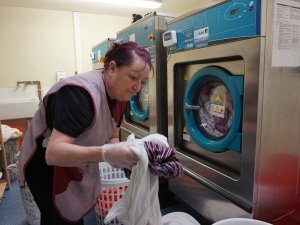 Luckily, none of our industrial washing equipment could be called ‘cheap’, in the sense that it would break down, because we only supply top quality equipment, while still catering to all budgets. 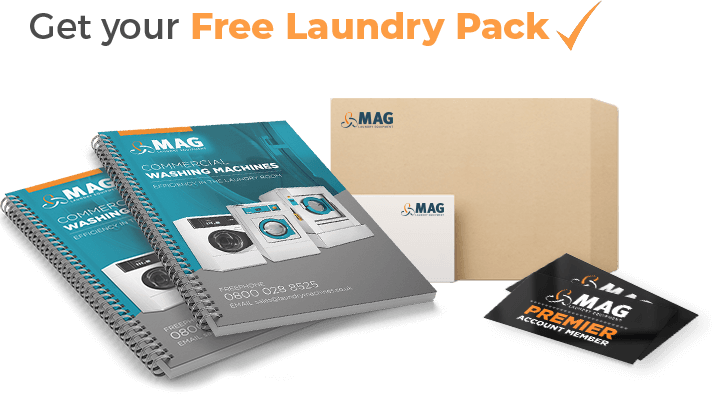 We are always happy to provide a free planning service and our sales team will work with new businesses, or existing clients, to find out exactly what type of items will be going in the washing and drying machines and how often they will be running. 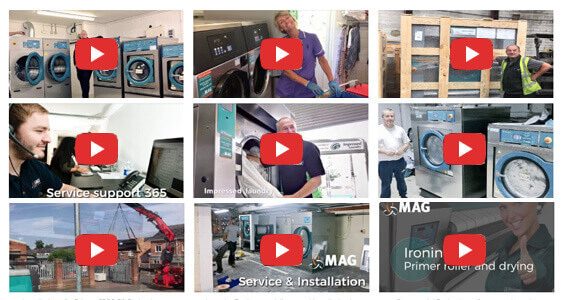 At MAG, we have been the exclusive distributor within the UK of premier Spanish brand of commercial washing machines called Primer since 2009. 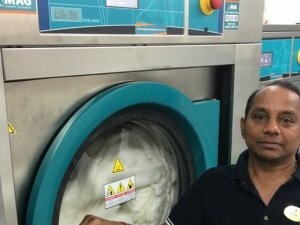 Our experience shows that Primer provides the highest quality and most reliable commercial laundry equipment for our customers. 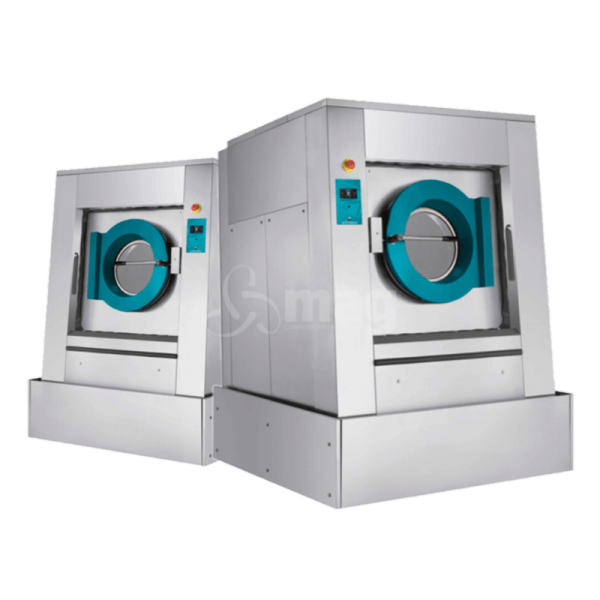 We always recommend Primer machines because the company is a heritage Spanish brand, created in 1922, yet is constantly innovating in terms of design, quality and energy efficiency. 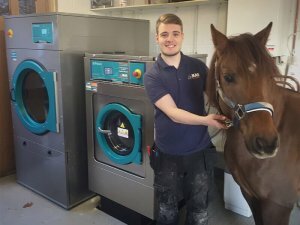 The Primer machines offer a wide range of sizes, from 11kg right through to a whopping 133kg, which means the brand appeals to every type of customer, from commercial laundries to hotels and spas, holiday parks and campsites and through to care homes and hospitals. 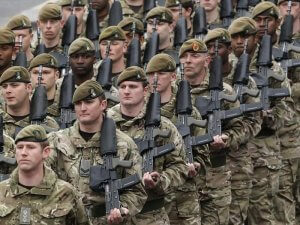 However, they are more pricey than other brands and many businesses are wary about committing the budgets right away. To cater to businesses with smaller budgets, we have many other options. 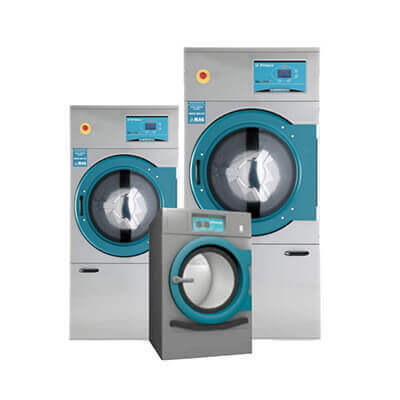 To offer a full range of commercial washing machines and dryers to our customers, we have also developed our own brand of MAG industrial washing machines. 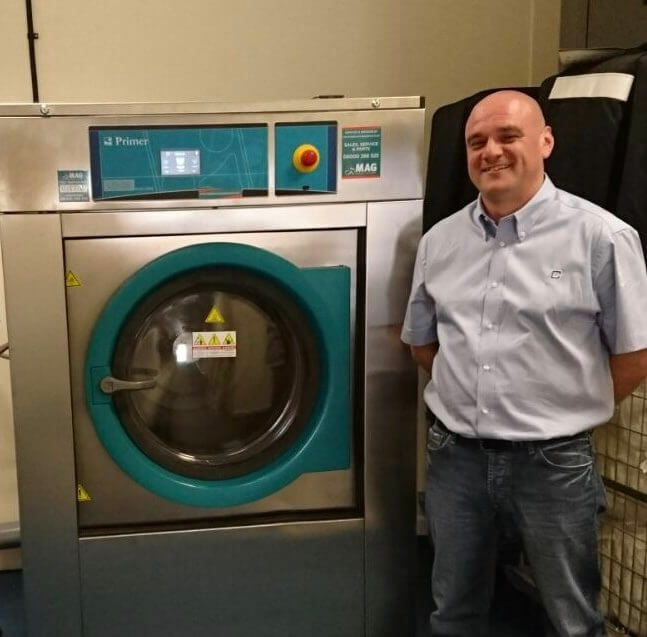 Our business owner Mark Dennis has worked in the commercial and industrial laundry industry for many years, and also employees many of his trusted associates. 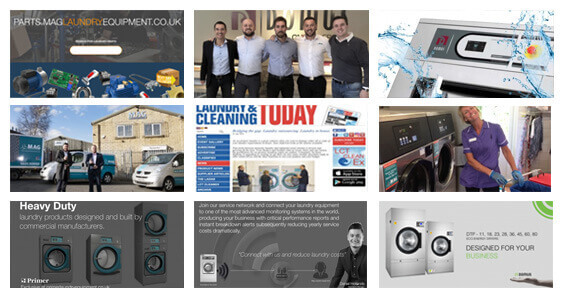 Together they have developed their own machines, and provide the highest level of advice and customer care possible. 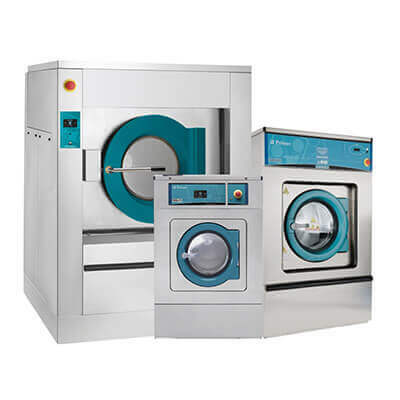 We also offer a range of Ipso washing machines, tumble dryers and ironers which have been a premier Belgian brand for the last 40 years. 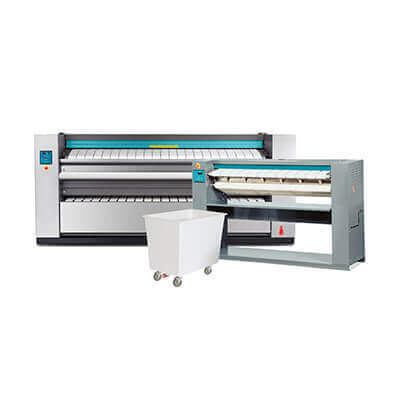 This brand has grown consistently since it was launched in 1973 and offers reliability, quality and efficiency. 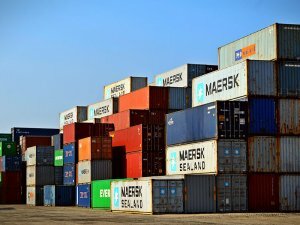 We also offer rental and service offerings to complement our services, which also appeals to many businesses. 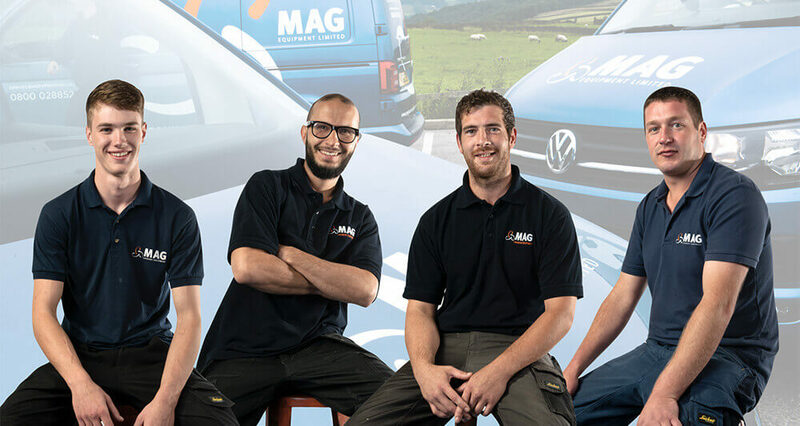 Our sales team will always recommend our monthly service package because it does represent value for money and our repair teams are incredibly quick and effective, meaning business does not stop! We carry thousands of spare parts in stock and ensure your call never ever goes to answer the phone. You can call us free on 0800 028 8525 for advice and for booking in a consultation. 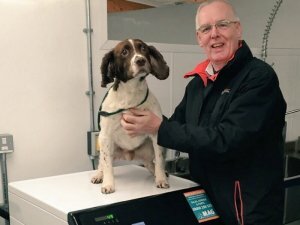 Our head office is based in Halifax, West Yorkshire, but we can travel anywhere across the North West or indeed, the UK.